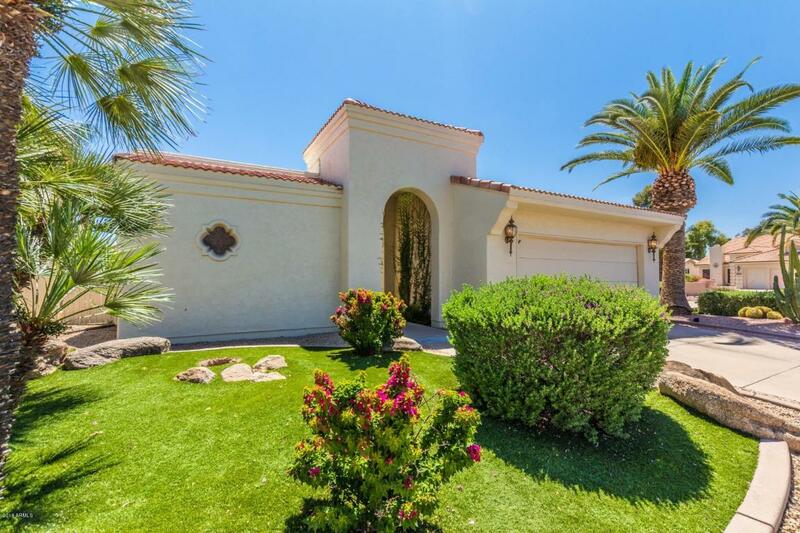 This three bedroom in Sun Lakes is a must see! Hanging ivy through walkway to main entrance, beautiful grass landscape front and back, & two car garage. Great room with formal dining space, breakfast room in the eat in kitchen, built in microwave, lots of counter space, custom cabinets. Half bathroom perfect for guests, full bathroom access for guest rooms, master bedroom has a full bath with dbl sink, mirrored closet door. Huge outdoor kitchen with rock waterfall, two covered patios, brick paved, synthetic grass, lovely spool with rock wall. This adorable home is sure to sell fast, make it yours today!